From Cheers to Fat Actress to Dancing With The Stars, Kirstie Alley has never shied from the public eye. Over the years her weight has taken more turns than a Cheers bar stool. During some thin years, she was a spokesperson for Jenny Craig. When she added a few more curves, Jenny dumped her. So Kirstie teamed up with Organic Liaison to create her own diet. Take that, Jenny Craig! Given the "organic" in Kirstie's partner Organic Liaison, it is clear that the Kirstie Alley diet is organic. Beyond that, it is supported with daily supplements, meal planners and an on-line community in a pay-as-you-go package. 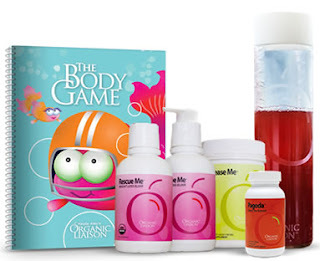 She says that her diet will help you to lose weight AND flush toxins from your body. The supplements have fun names that hint at their purpose. The "Rescue Me" daily pill is supposed to help you resist craving food. No real description of how this pill does it, so some faith is required here. The "Release Me" daily pill is a pretty calcium supplement. This is a very good idea, especially for women. The "Pagoda" pill is green tea, said to increase fat burn. For those awkward moments when the diet gets to be a bit too much, there is the "Relieve Me" pill for clearing out your colon (oh, my) and the "Nightingale" pill to help you fall asleep. Wow, that's a lot of pills to add to your medicine chest! The Kirstie Alley diet targets a daily intake of 1,400 calories. This is a sensible and safe level that has the endorsement of the government for weight loss. The diet program includes meal guides and menus. It even has a list of organic grocers near you for sourcing all these new organic products. This diet is not free. In fact, the program costs $119 per month if you buy the entire package. There is also a $20 startup fee. This gets you’re the program guide, the on-line community, email access to a "health director" and a supply of the 5 supplements. Does this diet work? Pretty much any meal plan that keeps you on 1,400 calories a day will help you to lose weight safely. Kirstie Alley's diet has received a lot of attention, between her stints on Dancing With The Stars and an endorsement from Kelly Preston. Is it work $119 a month? 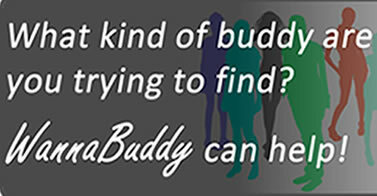 There are some cheaper alternatives, like watching Food Network to get healthy recipes and finding a real-life diet buddy on WannaBuddy for support and encouragement instead of messaging on a web site. In the end, it's up to you how you stay motivated. If Kirstie is a role model to you of someone who can be confident and successful without starving herself into a Size 0 dress, go for it! Oh, and practice dancing in heels, we don't want you to fall off the stage.